Mary’s Little Baby | "Northern Crossings"
Colossians 1:15-20 15The Son is the image of the invisible God, the firstborn over all creation. 16For in him all things were created: things in heaven and on earth, visible and invisible, whether thrones or powers or rulers or authorities; all things have been created through him and for him. 17He is before all things, and in him all things hold together. 18And he is the head of the body, the church; he is the beginning and the firstborn from among the dead, so that in everything he might have the supremacy. 19For God was pleased to have all his fullness dwell in him, 20and through him to reconcile to himself all things, whether things on earth or things in heaven, by making peace through his blood, shed on the cross. 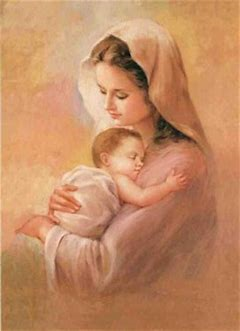 Mary’s little baby is the firstborn of creation and the image of the invisible God. This is incredible stuff. Paul cannot get his words out fast enough and the addition of superlatives to what Jesus is and who He is and what he does is really quite staggering. Attention should be drawn to the fact that Christ came and lived and died to reconcile all things to himself and make peace through the blood of His cross. reconcile with one another an agree to work out their issues in the understanding that what they are together in the body of Christ, is more important than whatever stupid differences they might have as individuals. himself. And there are people who cannot sit down with there brothers or sisters, their nephews or cousins, grandma‘s or grandpa‘s, or the people sitting next to them in church on a Sunday morning to recognize that they are all a part of the body of Christ and that whatever petty differences they have among them selves are inconsequential, insignificant, stupid, and sinful. The Christmas messages is tidings of great joy. These are joyless people, and sadly unless the power of the Holy Spirit reaches them and convinces them, they will be joyless throughout all eternity.